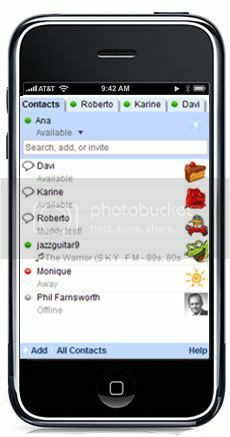 Google recently released Gtalk web app for iPhone. So far there wasn’t any Google talk app for iPhone. But, now you don’t need to worry anymore. You can now chat with your Google Talk contacts right from your iPhone. The interesting part is that if you have an iPod Touch then you can also use the Google Talk web app on it perfectly without any probs. To use Google Talk on your iPod or iTouch all you need to do is go to http://www.google.com/talk through Safari in your iPhone or iPod. This is a web app, hence you don’t need to download or install anything. You can login directly using that link and chat with your Google Talk contacts.